While I love shopping big retailers out of convenience, nothing beats finding a cute online store where you find yourself adding every product to your cart because it all fits your personal style. This is exactly how I’d describe the pieces found on Shop 48 South’s new site. I discovered them on Instagram about a month ago and was completely smitten with all of their pieces. One of the best parts about shopping small is knowing that everyone you know is not going to show up in the same pieces (although after showing Sophia one of these tops she ordered it too, haha). I recently tried a few of their different pieces and know they are items I’ll be wearing for years to come. The first item is this peplumstyle blue and tan top. I am always drawn to a peplum hem and don’t get me started on my love of blue and white, so this top was a no brainer. While I’ve been wearing it with regular denim lately, I especially love the way it looks with white jeans. 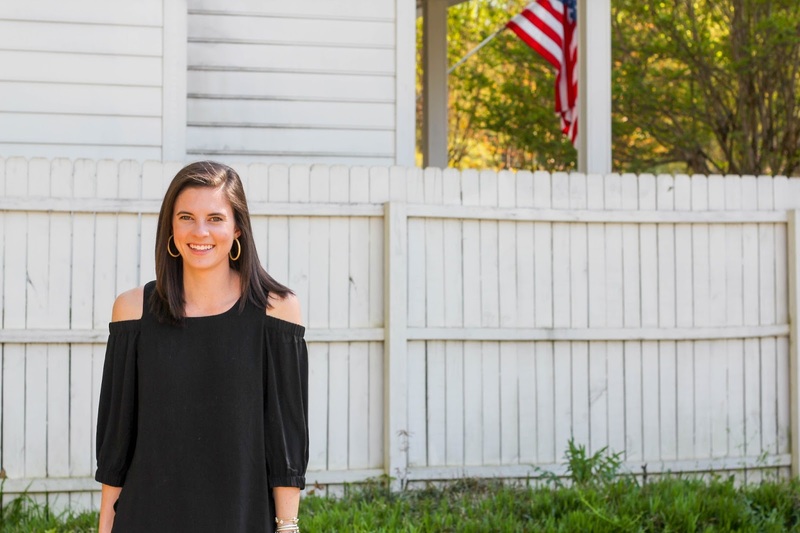 Another favorite item is this cold shoulder black top. I own one black top and knew that needed to change, but since I would much rather wear color, I needed to wait to find the perfect black top before biting the bullet. 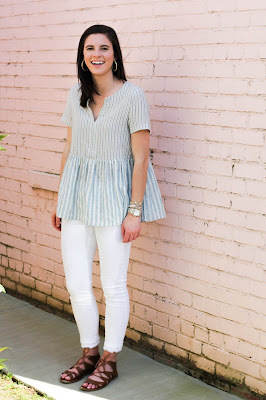 I loved that this top would work well no matter the season, and I thought that the cold shoulder added a unique twist to this closet staple. 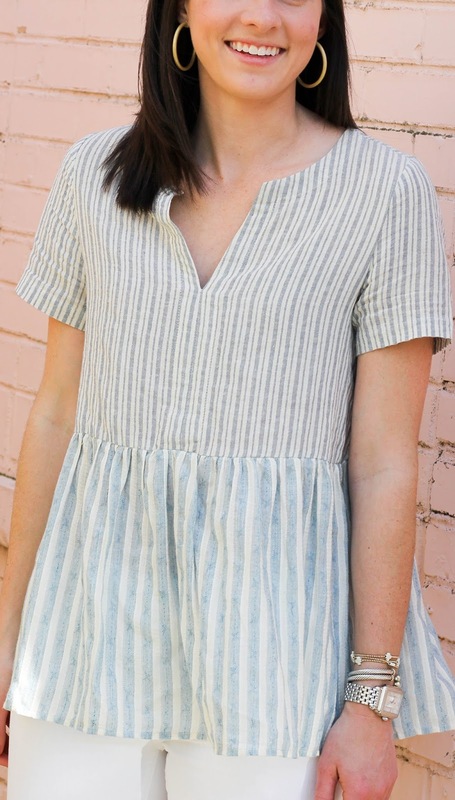 The length makes it easy to dress up or dress down and the material is lightweight but lined. I expect to be gravitating to this piece often. Shop 48 South also has some really cute jewelry. 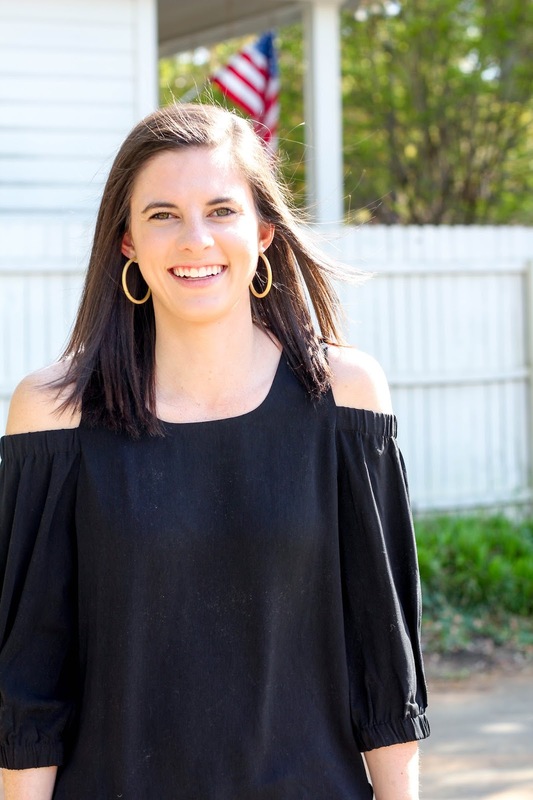 Since statement earrings seem to be all the rage, I couldn't help but be tempted to add all of the ones from here to my cart. 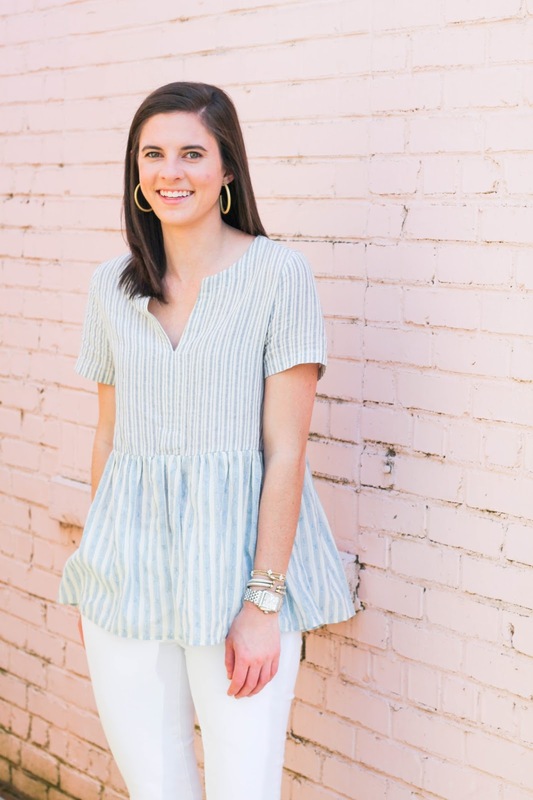 Although their inventory is continuing to grow, I hope that if you choose to online shop this weekend that you'll check out all that Shop 48 South has to offer. And if you need any more motivation, they have free shipping & returns! Looking good as always, Dorothy! I just checked out the shop and I love everything! Will for sure be making a purchase sometime soon for the summer! Lovely choices. Thank you for sharing a new shop! A Blogging website is the massive event these days. Yet, is it the right basis for building your online issue? Don't just proclaim "yes". Here are some thoughts to put blogging into the right viewpoint. Blogging is roughly getting people to your website, interacting gone them through your blog, and building a attachment considering them. on, pays the developer professional fees for the website design and upkeep. Consist of a quirk to set occurring an account, customized settings and services, and security events. Setting going on an account usually means allowing users to pick usernames or use their e-mail addresses. A Blog is used to find the child maintenance for commentary or news upon a particular subject. They could be the concern founder's advice to customers as past ease as news. It could be some backpacker's journal across Asia. This article looks at the What and Why of article writing. It starts taking into consideration than a curt records and exposure to character of what blogs are, followed by the pros and cons of having your own blog website. e optimization, or SEO. SEO tactics enable you to write and tag content by keywords that users are already searching for online. Hey – great blog, just looking around some blogs, seems a really nice platform you are using. I’m currently using WordPress for a few of my blogs but looking to change one of them over to a platform similar to yours as a trial run.